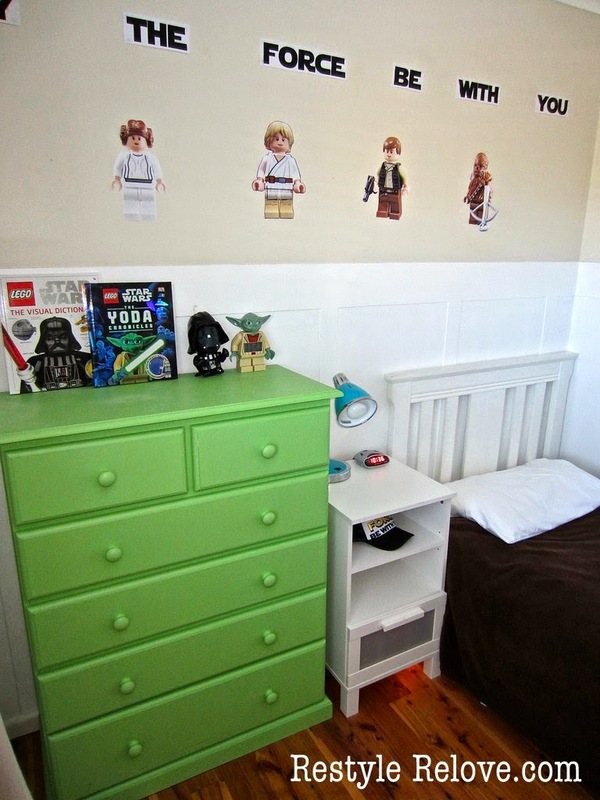 Boys Lego Star Wars Bedroom! 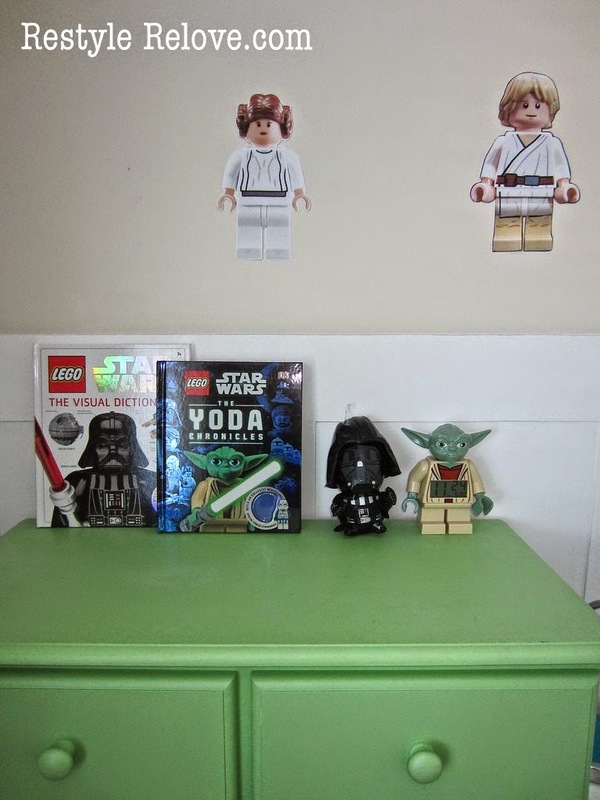 My 4 year old boy wanted a makeover in his room too, so after much indecision he decided on Lego Star Wars. 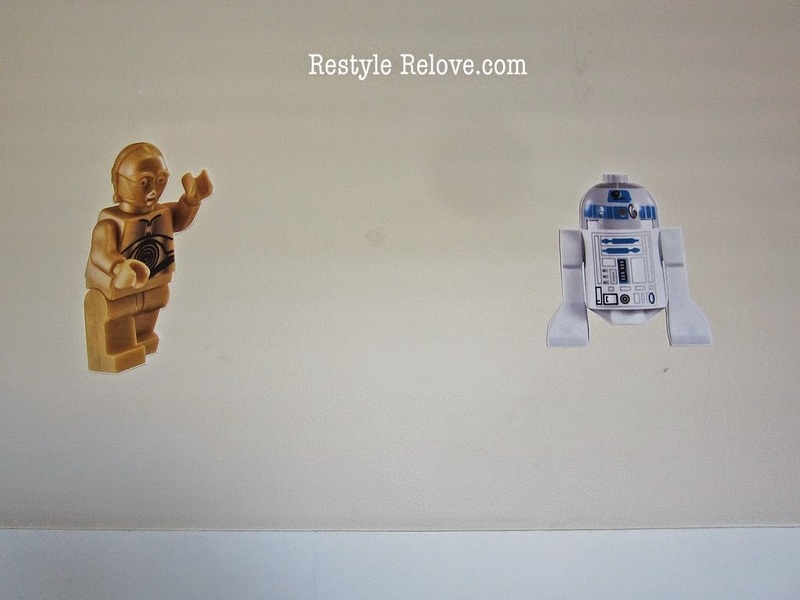 I was going to repaint the walls, but that didn't end up being a necessity, so instead I just printed off Lego Star Wars characters and blue tacked them to the walls. 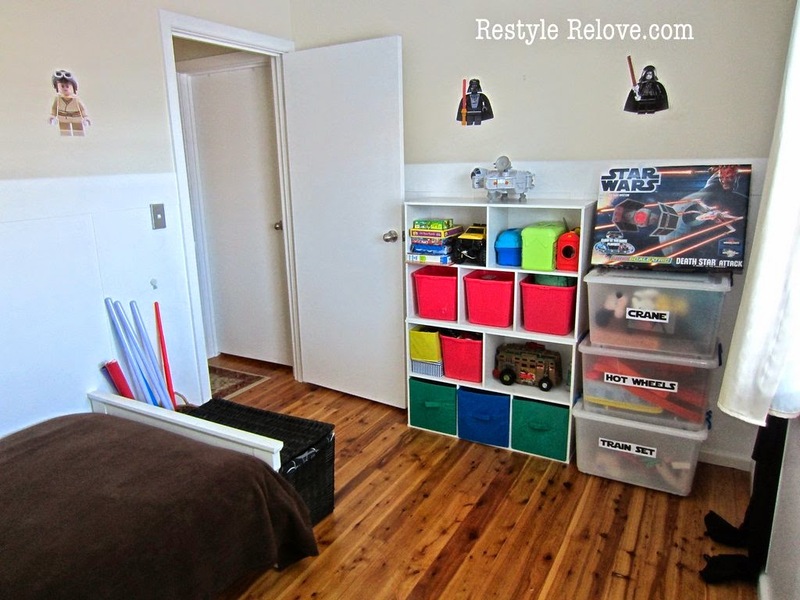 I gave his furniture a little rearrange, adding some toy storage cubes from the toy room into his bedroom. 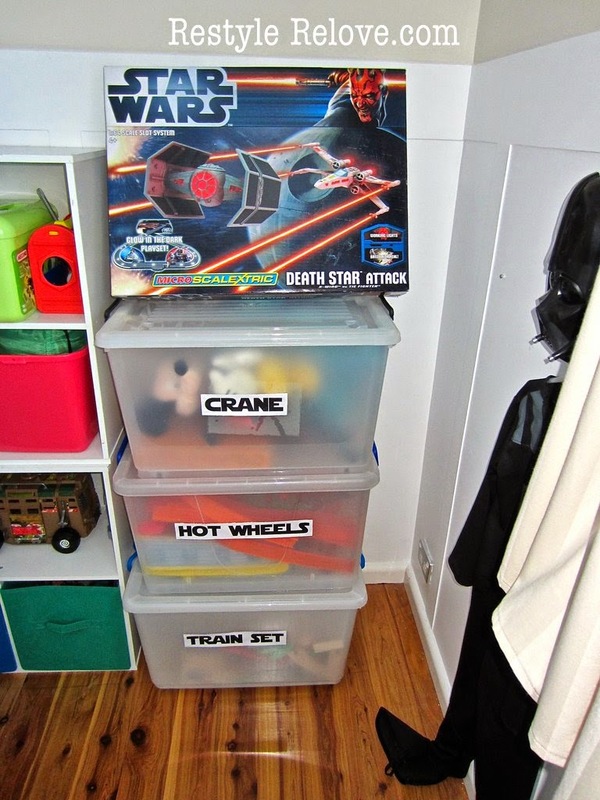 I then used his large plastic storage boxes and stacked them with larger toys. On the fronts I attached labels I printed off using a Star Wars font. He had a nice brown blanket he uses in winter which covered his quilt and various quilt covers so I didn't invest in any new bedding. 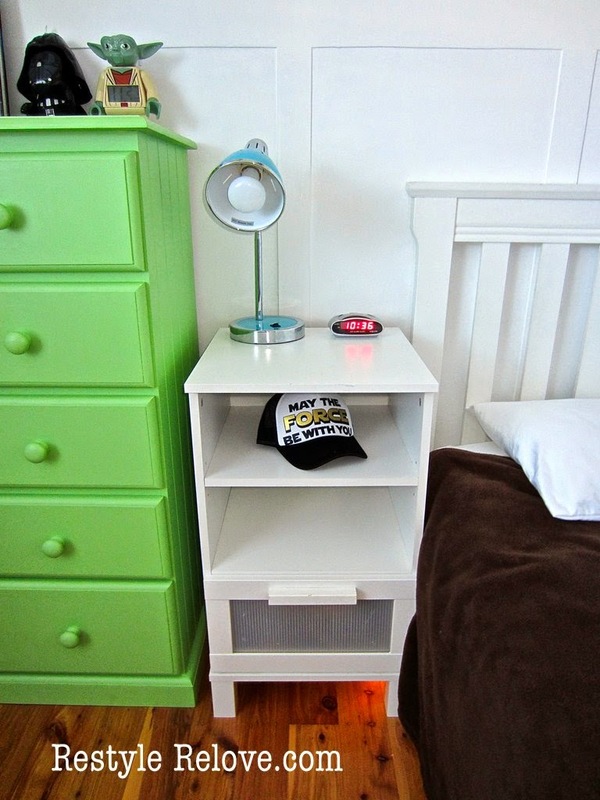 I added a black basket at the end of his bed for his dress up storage. Little boys love to dress up too! 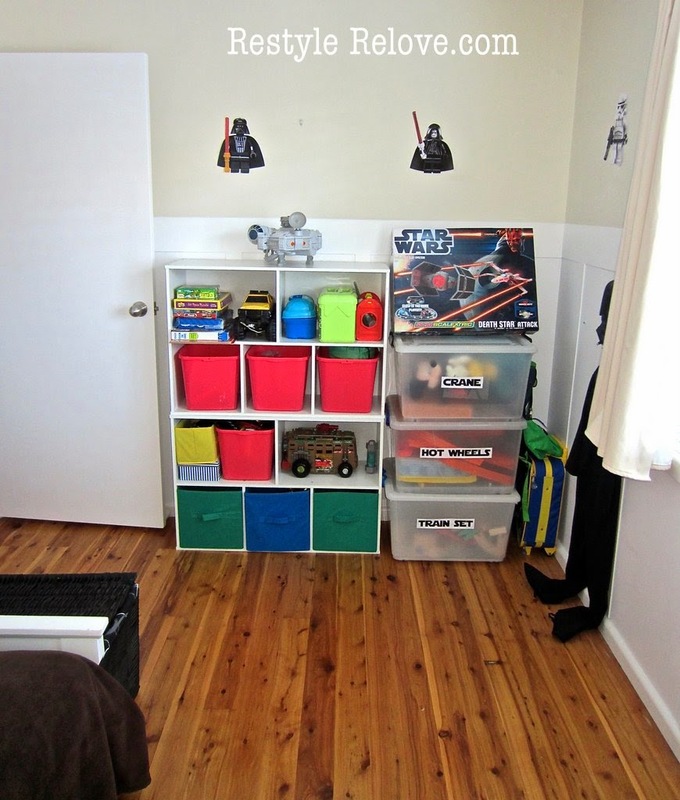 And a basket for all his lightsabers. I'm still deciding on a new rug, either green or blue. 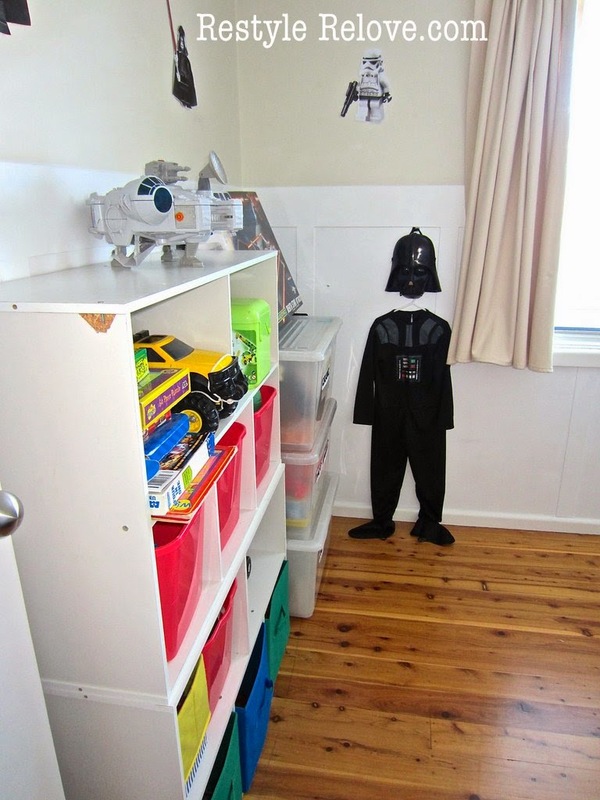 Finally, around the room I put on display some of his Star Wars toys. 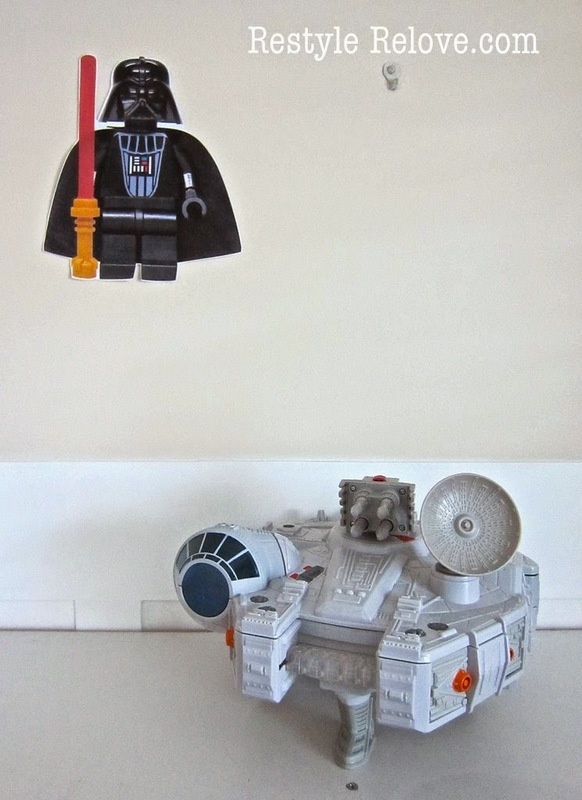 And he is one happy little Lego Star Wars fan. 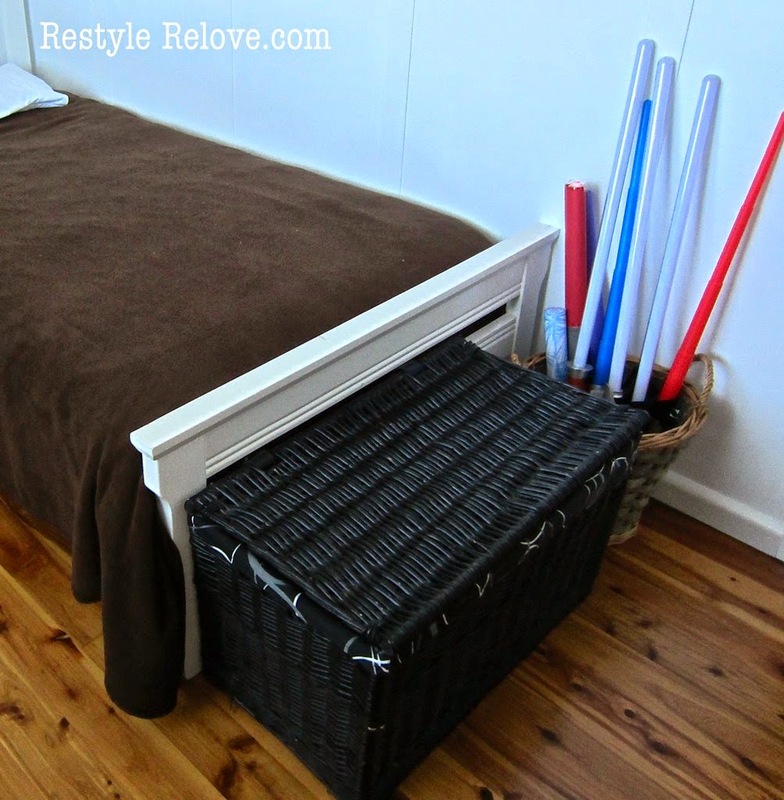 We had wanted to get him a loft bed as his room is quite small but those beds are quite expensive and Hubby is confident he can raise up his current bed. So that's Hubby's next project. 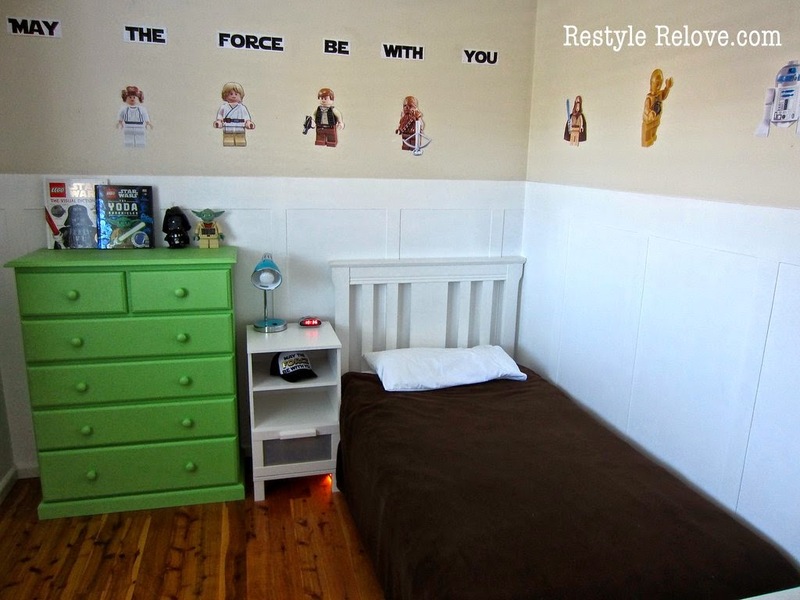 Hi Julie ~ your son's room is adorable and brings back many memories for me. 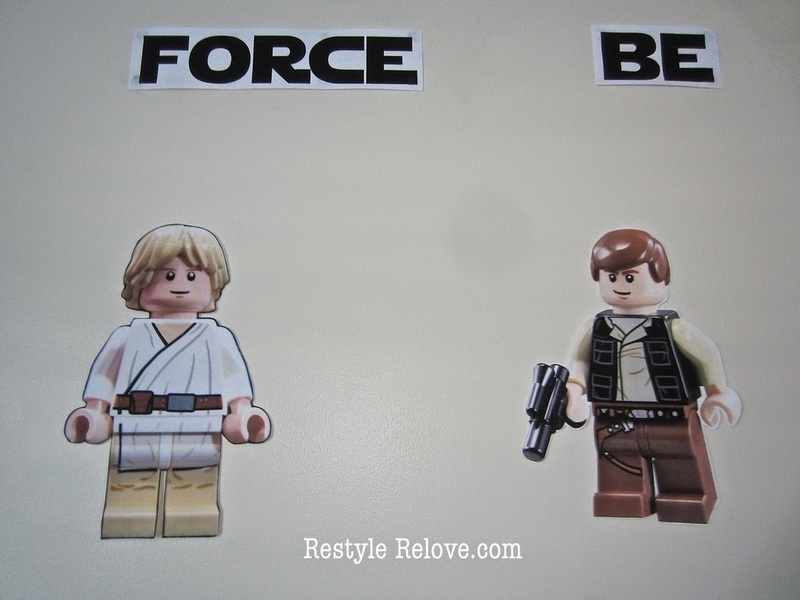 My son is now 16 but he was a HUGE Star Wars and Lego Star Wars fan (and he still is). 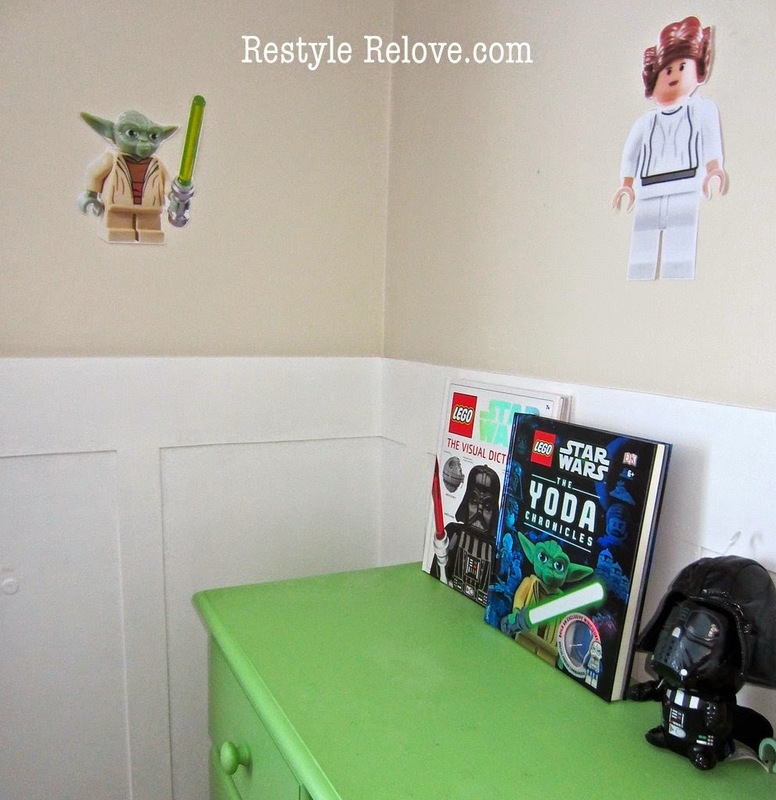 I actually just posted about updating my sons room with all of the things he loves and I used green, blue and white for the colors. 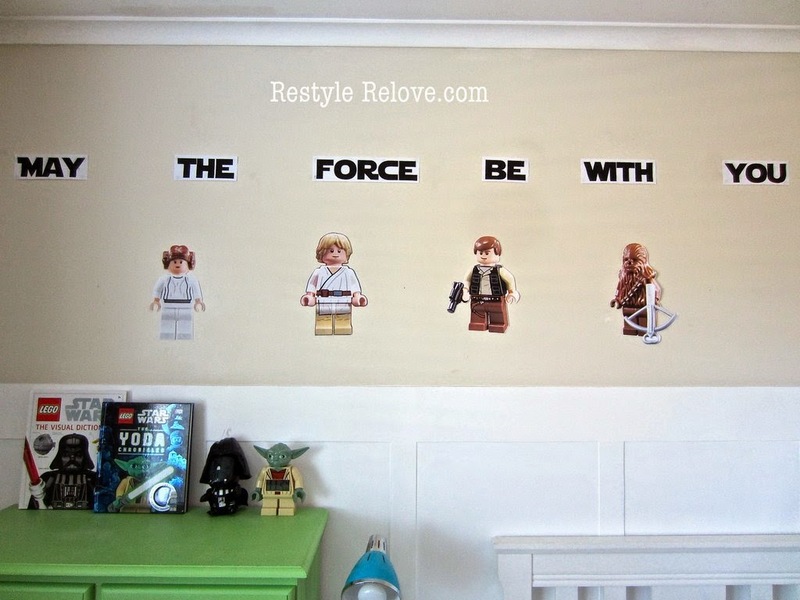 I'm sure your son is crazy about his room ~ so cute! 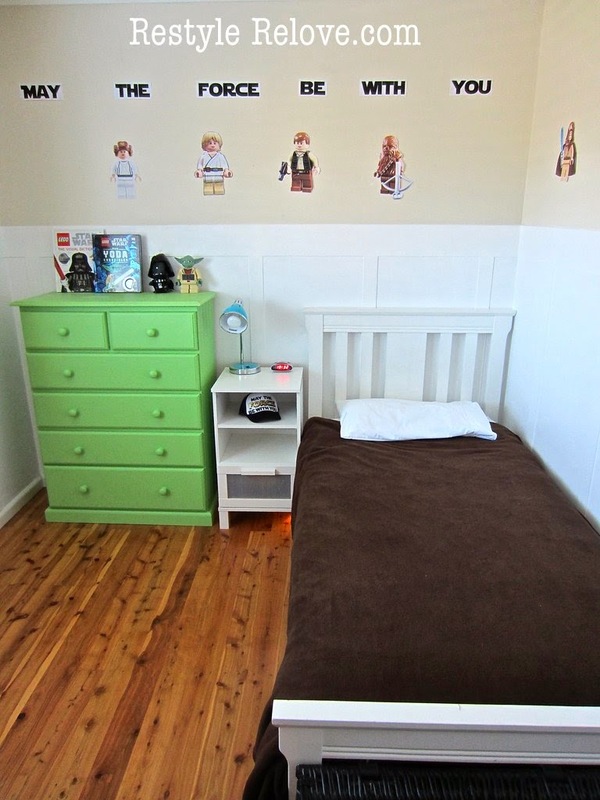 Little Girls Disney Frozen Bedroom!